Home » Instagram » How to Boost Your Sales Using Instagram? How to Boost Your Sales Using Instagram? At present Instagram is hosting millions of photographs every day and if you are a business house, then this will serve as the most paying platform to market your products. All you need to do is to connect your photo sharing platform with other social networks so that your images will get the right exposure. You will be surprised to know that Instagram has 300 million monthly users and 75 million people use it on a daily basis. There is no doubt that Instagram is serving as one of the most effective marketing tools to connect with your customers. Remember when you are doing it for marketing purposes; you need to do something other than sharing your photos only. You need to apply filters and publish them. Right steps taken in this regard will ensure that your photographs will get high level of Instagram likes. When you are sharing your photographs or the images of your products, you need to show your creativity which your followers will find different. You can also include another product in the photographs to make it more attractive. People are attracted to different things, when you want to hold the attention, post your photograph with an appealing text. Your catchy title will make them click on it and they will share it on their respective groups. Here are a few things which you are supposed to take care when you are taking the photographs. This is right that the camera quality matters lot, but before that you need to ensure that you are taking pictures in proper light. It doesn’t matter whether you are taking photos indoors or outdoors. There are many things which are more attractive in black and white whereas other products will look great in colored pictures. Decide and post the photos accordingly. When you increase your followers to take a specific action, this also helps in getting new followers. You need to attract their attention and they will immediately check your images. Hashtags are known as the lifeline of the Instagram. When you post your pictures include several hashtags in every image to ensure good amount of exposure. You can include up to 5 hashtags, of course you can go above than this, but adding five hashtags is an ideal way to post your image. When you add relevant hashtags to your photograph, this becomes visible to many other users even to those who are not your followers. If you know something about Instagram, then you can start a hashtag campaign to increase the list of followers. If you are going to participate in a trade show, then you have to tag your location so that your followers will know what you are doing in your business. When you are organizing a sale of your products, do not forget to share it with your followers. You need to do simple things, but in a different manner to attract your customers. 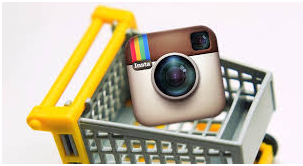 Make a direct link and buy likes on instagram to flourish your business in manifolds.